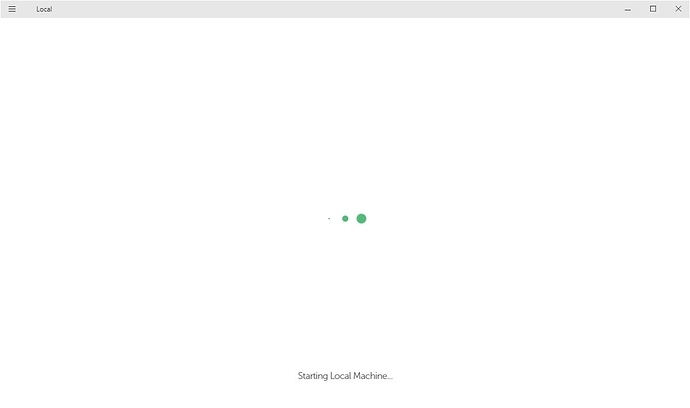 Local keeps "Starting Local Machine"
I downloaded Local app (local-by-flywheel-3-0-4-windows), but after the installation process, the app keeps “Starting Local Machine” and never starts. I’m on Windows 7 - 32 bit. select flywheels machine ( Websites. in my case it was just local test sites for wp so had no risk if I lost it all) and remove. start flywheel app and install. when it is fully loaded, restore each site. Hope this can help. please note I am not a dev. I am just another customer so I can’t guarantee anything. Thank you for the suggestion. Will try that.